Tipsy Tuesday: Valetine’s Day Budget Friendly Finds! There’s nothing more fun than nailing a fabulous look for less! Don’t get me wrong, like handbags and heels, sometimes you just have to splurge on a few fabulous staples. But hooray for these finds! I’ve already ordered a few of them. I can’t wait to report how they work out! Here’s one more that’s too cute not too share! 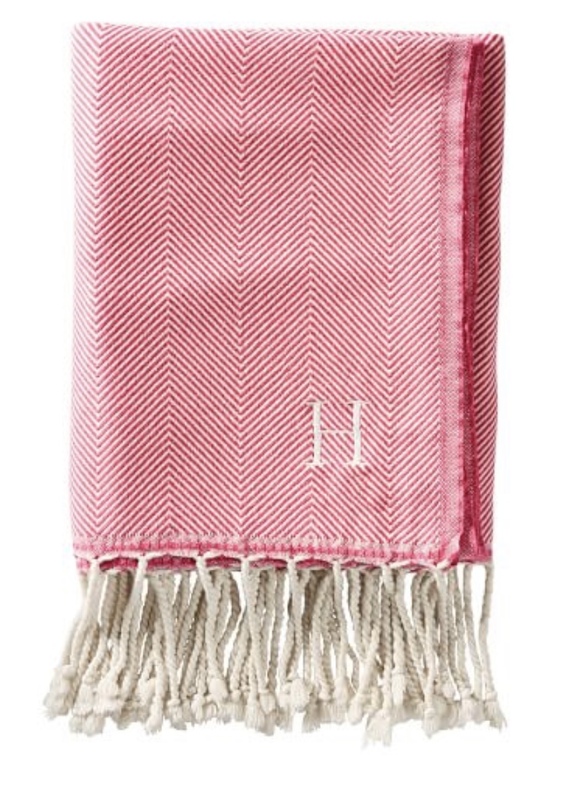 I love these Turkish Herringbone throws. They are so cozy and add such a great touch to any room. This one is only $69 and comes in several colors. I love summer holidays! It's such a fabulous and fun time to open your home to family and friends for an afternoon or evening of fun!! We are hosting some of our dearest friends this Memorial Day and I can't wait. If you're headed to a BBQ, Memorial Day party or maybe even jet setting to a friends lake house or vacation home, here are my favorite hostess gift ideas! I know how much work entertaining can be, so it's always such a treat to come bearing gifts when our friends and family open their home to our crazy, wild crew! I love these show-stopping gifts all under $75! I hope you have a happy Memorial Day Weekend!!! It can't get here soon enough! Flower Marble Dip Bowl: $9.96. This is SUCH a darling, versatile bowl! We have two and we use for dips, small bites, nuts, candy. Pair this with a bag of your favorite small treat and you have a darling gift for under $20! Monique Lhuillier Candle: $60. What I love about this candle is the packaging! Just put a small ribbon and/or gift tag on this and it is the prettiest hostess gift! Zodiac Fringe Busatti Guest Towel Monogrammed by The Loveliest: $36 plus monogramming. The Loveliest has to be hands down the most fabulous place for a hostess gift! They have so many custom, beautiful gift options from cocktail napkins to coasters and hand towels. See more items below! Twig Cheese Knives: $17.49. These cheese knives pair perfectly with the flower marble dipping bowl or on your favorite charcuterie platter. Here are some other hostess gift ideas from The Loveliest!